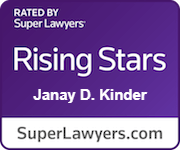 Janay D. Kinder - Associate Attorney - Moran Law Firm - Fresno Ca. 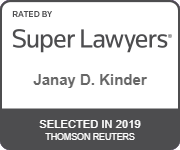 Ms. Janay D. Kinder, J.D. Janay Kinder was born and raised in the city of Clovis. Janay graduated from Clovis High school in 2007. When she was seven, her father recognized that she had a unique ability to talk her way out of anything. Janay’s father further appreciated that she seemed to love to argue, so he encouraged her to develop those strength and become an attorney. Janay graduated from Fresno State University with a Bachelor’s degree in Political Science, and a legal studies certificate. Janay was committed to remaining in the Central Valley, so she attended law school at San Joaquin College of Law. As a law student, Janay participated in the George A. Hopper Moot Court competition where her talent for legal writing earned her the award for Best Brief, and was a Semi-Finalist in the Oral Argument Competition. Ms. Kinder graduated from San Joaquin College of Law with her Juris Doctorate in May of 2017. 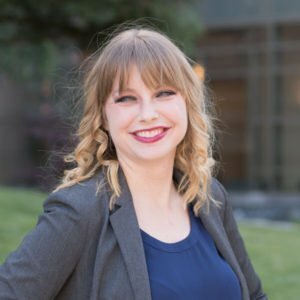 Ms. Kinder Joined the Moran Law Firm as an Associate Attorney in December of 2017. Janay works as the lead attorney in the Moran Criminal Writs and Appeals Department. Her exceptional legal writing skills are utilized to provide our post-conviction clients with the highest quality of work in fighting against their wrongful convictions. Janay has written and filed successful Appeals, Writs, and Motions for New Trial with the Fifth District Court of Appeal, and the Ninth Circuit Federal Court. She is supported in her legal writing by Law Clerk Jason Oleson, and together they handle all stages of the post-conviction process, from the initial prison visits, working with forensic investigators, to the filing of the petitions with the courts. Moran clients appreciate that Janay takes the time to build relationships with them, which has a direct impact on the quality of representation each client receives. Janay is able to tell the story of each client through her legal writing, and oral arguments in front of the court because she has taken the time to know them and their individual stories. She also handles the firm’s Prop 47 Reclassification cases, DUI’s, Gang Affiliated Crimes, Domestic Violence, and her work on the Prop 57 Juvenile Fitness hearings gained her recognition in the local defense community. Janay is a passionate Criminal Defense Attorney who is committed to providing each individual with the highest quality defense at all stages of the criminal proceedings.